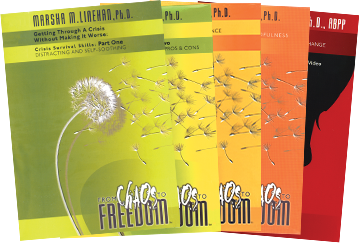 The skills addressed here help clients "control the moment" and protect themselves from impulsive or self-destructive responses to difficult situations. Covered are straightforward techniques for seeing the light at the end of the tunnel and staying focused on long-term goals—using tools as simple as a pencil and paper. 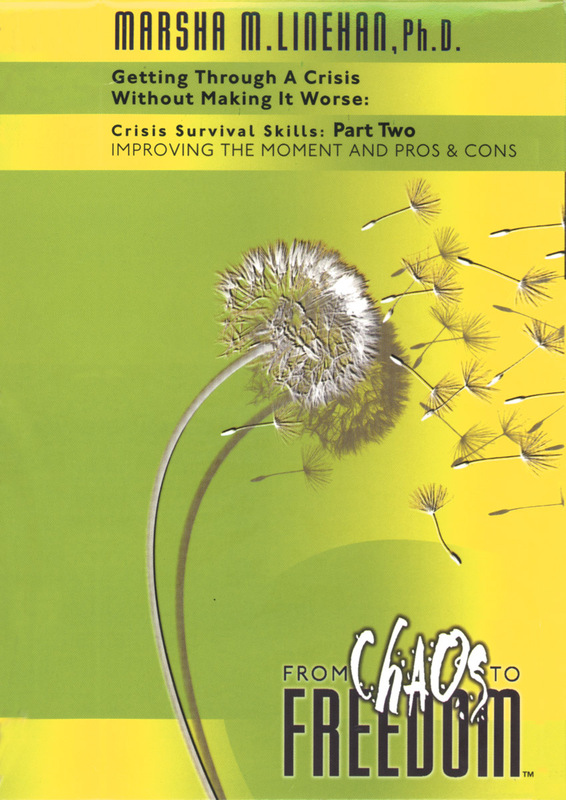 See also Linehan's related videos—Crisis Survival Skills: Part One, From Suffering to Freedom, This One Moment, and Opposite Action—plus DBT® Skills Training Manual, Second Edition, and DBT® Skills Training Handouts and Worksheets, Second Edition, which providedetailed guidance and reproducible materials for conducting DBT skills training.